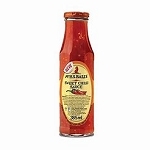 Home > The Cape Kitchen > Some Like It Hot! 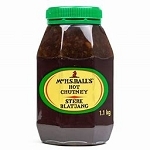 South Africans love curry and spicy foods and the iconic Mrs Balls Chutney has to be the most popular in the world! 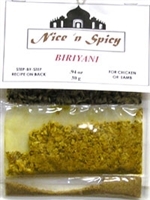 With the input of the large Indian and Cape Malay population in South Africa we have some of the most diverse curries in the world and from Biriyani to Roti and Cape Bobotie we cover the entire spectrum and here at the South African Food Shop you will find the finest curry powders, pastes and masala available, we also have spice packs and combinations of spices with recipes so that you can make your own South African Bobotie, Indonesian Nasi Goreng or Indian Butter Chicken and Lamb Khorma. 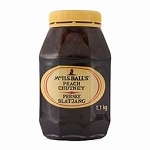 One of our best sellers is Mrs H S Balls Chutney which has been around for over one hundres years and is made from a blend of Peaches and Apricots and although chutney is meant to be a condiment served with curry, in South Africa it is used like ketchup and served with anything, from bacon and eggs to even as a spread for sandwiches, we carry Original, Hot, Peach and Chilli which are the four most popular flavors. We also stock Pakco Hot Atchars made with spicy pickled vegetables and Pakco Mango Atchar these can be served as a side with curries or used to liven up some tired old chicken!